Welcome to the fifth season of our Castles in Communities project! Ireland is an amazing place and Ballintober could not be a more quintessential archaeological experience. Imagine a small village with a big beautiful castle that everyone wants to learn more about. The project consists of students from California mixed with anyone else who wants to come study a castle and then eat and enjoy music in the pubs, followed by a walk home and a warm fire. 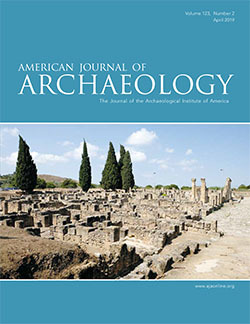 We just published a great article in the magazine Archaeology Ireland - check it out! 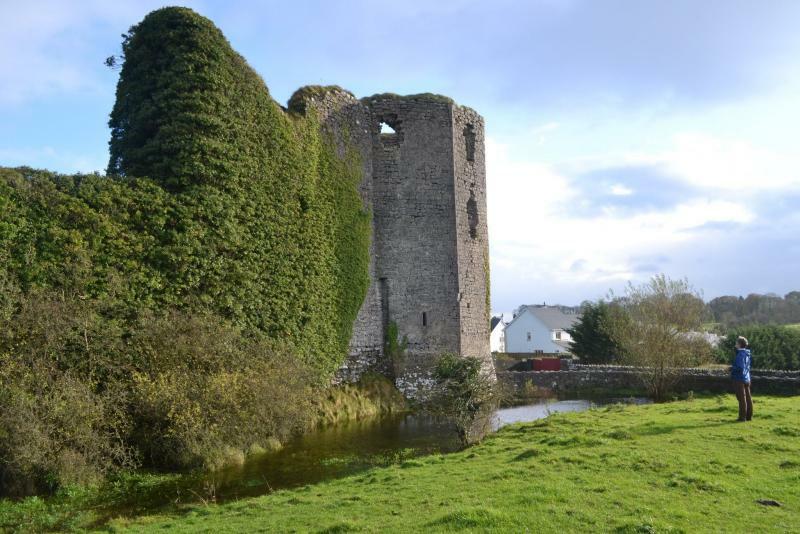 Our project is an examination of castles in communities from past to present that is focusing our 2019 research on Ballintober Castle in County Roscommon, Ireland. 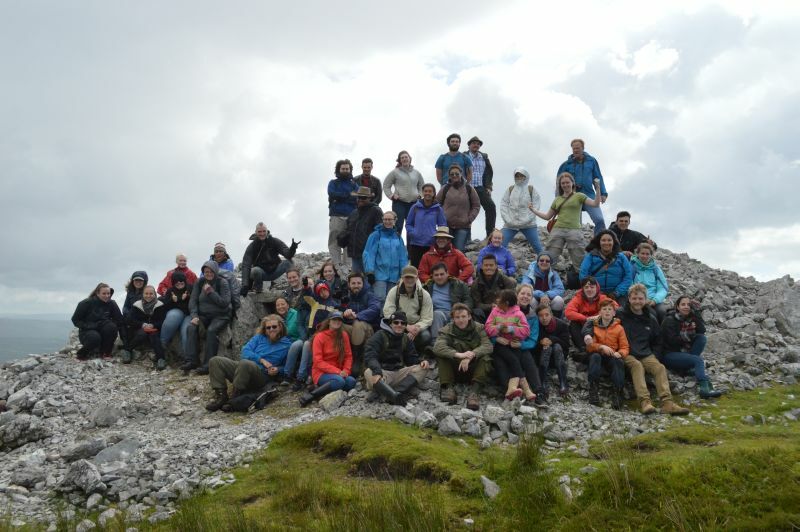 The archaeological and anthropological field school project this year is a student focused investigation of the ancient and modern medieval Irish landscape. Researchers are interested in colonial encounters between the Anglo-Norman occupiers and the indigenous Gaelic-Irish settlers. The archaeology in 2019 will continue large cuttings within the castle to expose early construction phases. Exciting new work will look at the recently discovered deserted village adjacent to the castle. Survey will continue ground-penetrating radar and magnetometry inside the castle and in the nearby townlands. Proposed test pitting of medieval features to include house plots, agricultural features and a possible crannog. Further systematic foot survey and mapping of surrounding landscape features such as ring forts will continue. The cultural anthropology and folklore component will continue to trace a community's relationship with a castle through time. Examples of this research will be the gathering of folklore via interviews with townspeople. Welcome to the fifth season of our Castles in Communities project! Ireland is an amazing place and Ballintober could not be a more quintessential archaeological experience. Imagine a small village with a big beautiful castle that everyone wants to learn more about. The project consists of students from California mixed with anyone else who wants to come study a castle and then eat and enjoy music in the pubs, followed by a walk home and a warm fire. We just published a great article in the magazine Archaeology Ireland - check it out! 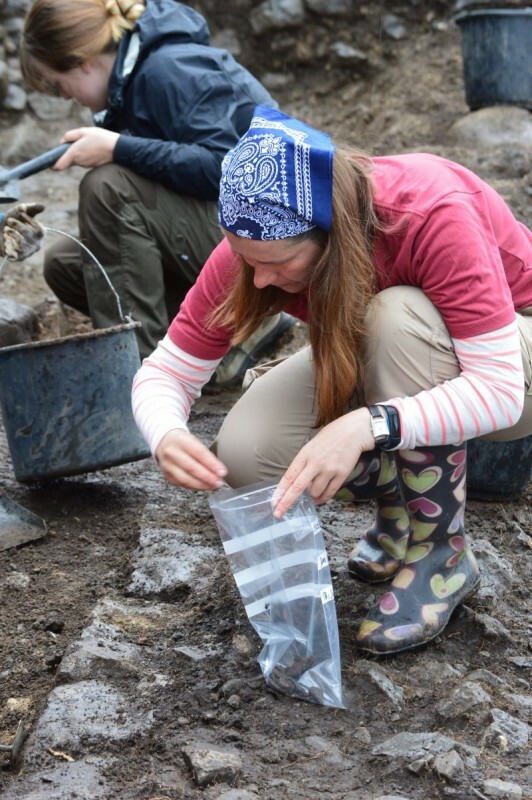 Castles in Communities project combines archaeology and cultural anthropology. Course credits transfer to all major universities, including UCs and CSUs. Coursework includes Irish prehistory; archaeology via careful excavations in the castle; ethnographic techniques to gather data on community life past and present; survey methods via ground penetrating radar and using GIS to find the associated village; and laboratory analysis. Lodge in village community and meals provided by local pubs. Field program includes guided group trips. All experience levels welcome, including undergrads, grad students, and people who simply want to do archaeology in Ireland. Ballintober is a wonderful place in Ireland's Hidden Heartlands! Volunteer staff inquiries will need to submit a CV and a reference. Volunteers may have to enroll in a short course. Foothill Program students will be residing in several locations for the month. Most of the students will want to stay in the village in rented homes which was a very special experience last year. In addition, we are renting the carriage homes in the manorial estate of Clonalis which is still owned by the O'Conor family (see clonalis.com for a valuable historical perspective and the http://clonalis.com/self-catering/). 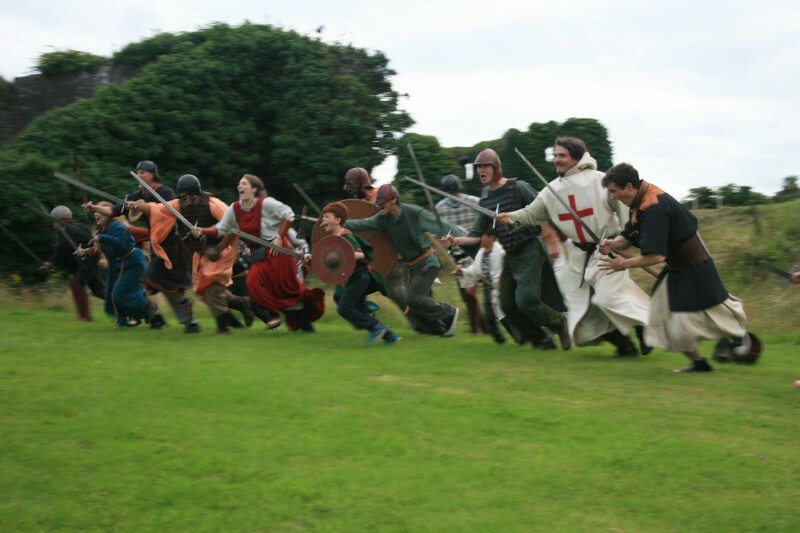 Clonalis is located just next to the large town of Castlerea, in which we will also have an active presence throughout our stay however it is 10 minutes away from the castle. As indicated, we will be renting homes next the castle and being directly engaged with the community of Ballintober where the castle is located. Ballintober is a small village located a few miles away in the countryside. Students will be living and working with the people of Ballintober. Food is a mix of local Irish cooks and group meals prepared by students and staff. Vegetarians are welcome! The area of study is located in the County of Roscommon which is centrally located in the west of Ireland near to Sligo and Galway. Castlerea is on train lines and bus lines which can be used on free days to explore. As you will discover, Castlerea and Ballintober are wonderful places to spend a month -- small, open and enjoyable. Barry, Terry. The Archaeology Medieval Ireland. Routledge, 2002.